… The Art of Performing!!! 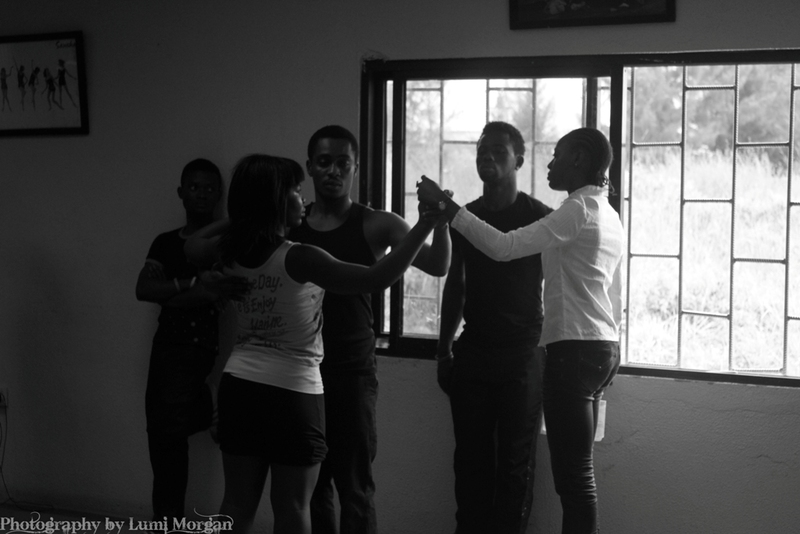 As the Society for the Performing Arts in Nigeria (SPAN) continues to dazzle Nigeria with groundbreaking performances as seen during SPANFEST 2015, the organization is set to enchant the public yet again with its captivating production ‘Block 13’ – A Tale of Hope, Love & Wonders, which will be showcased during the MUSON Festival 2016 on Friday, October 21, 2016 at the AGIP Recital Hall, the Muson Centre, Onikan, Lagos. ‘Block 13’ is the gripping story of a group of people who lives different lives, have different aspirations but found themselves bound together by the common hope they found in the apartment, Block 13. It is a mesmerizing plot filled with chart-topping songs and dance (which SPAN is famously known for) that will keep you on the edge of your seats. ‘Block 13’ is family –friendly, entertaining and inspire the creativity within. However rigorous and uniform training may be, each dancer always has a personal style of dancing. Certain skills come more easily to some dancers than to others: one may be an excellent jumper, while another may have exquisite control and balance in slow, sustained dance passages. The same choreography may also look completely different when executed by two different bodies. Thus, a dancer with very long limbs will make high leg extensions look exaggeratedly long while appearing slightly awkward in fast, intricate footwork. Another dancer may have a great deal of energy and speed but be unable to produce a sustained and beautiful line in held positions. Dancers also vary a great deal in the way they articulate and project movement. Some dancers move in a way that is tense, energetic, and even aggressive in its attack, , while others appear soft and fluid. Some phrase their movements so that every detail is sharp and clear; others so that one element flows into another. Some move exactly in time with the phrasing of the music; others phrase their movement slightly independently of it. One dancer may produce movements that are dramatically charged and expressive, while another may be cool and detached, concentrating on technical perfection. Such qualities may vary so distinctively that certain dance roles become inextricably connected to the dancers for whom they were created. No matter the style, what each dancer brings to the table is unique and unparalleled! These days, people love to watch other people dance. Competitive dance shows like So You Think You Can Dance and Dancing With the Stars or competitions here at home like SPAN/IDO: street dance battle and salsa show dance competition are dominating the entertainment world. What you may not realize, however, is that dancing a great way to keep your body and mind healthy. Studies show that dancing can do a host of things which we will examine closely in this article. According to a study in The New England Journal of Medicine, dancing may boost your memory and prevent you from developing dementia as you get older. Their method for objectively measuring mental acuity in aging was to monitor rates of dementia, including Alzheimer’s disease. The study wanted to see if any physical or cognitive recreational activities influenced mental acuity. They discovered that some activities had a significant beneficial effect. Other activities had none. Dancing frequently – 76%: That was the greatest risk reduction of any activity studied, cognitive or physical. If the essence of intelligence is making decisions, then a valid question would be … how do you develop such a skill? Involve yourself in activities which require split-second rapid-fire decision making, as opposed to rote memory (retracing the same well-worn paths), or just working on your physical style. One way to do that is to learn something new. Take a class to challenge your mind. It will stimulate the connectivity of your brain by generating the need for new pathways. Difficult classes are better for you, as they will create a greater need for new neural pathways. Flexibility is an important part of being healthy. 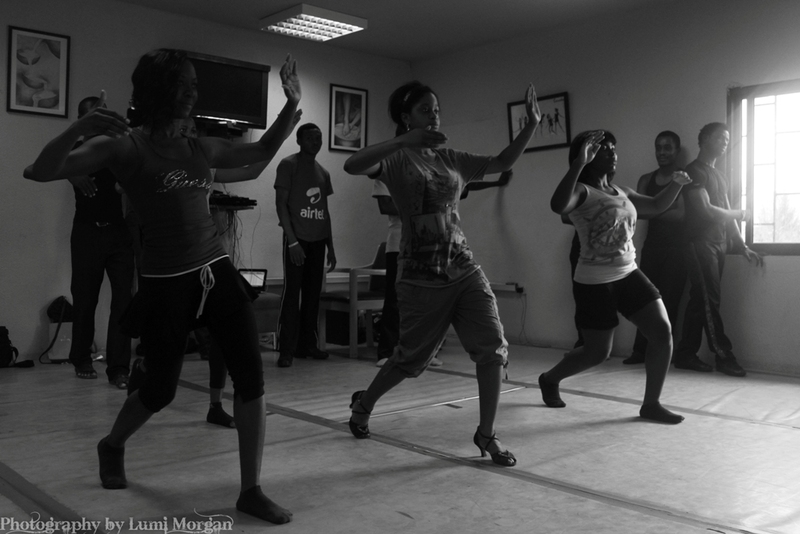 Most dance classes begin with a warm-up including several stretching exercises. Most forms of dance require dancers to perform moves that require bending and stretching, so dancers naturally become more flexible by simply dancing. Increasing your flexibility will help ease joint pain and post-exercise soreness. Dancing to slow music, with a tempo that is easy to follow, or dancing to a fast beat are equally wonderful ways to relieve stressful times provided you enjoy yourself. Allow yourself to feel the music, move your arms, and sway your body. Enjoy the movements as you stretch your arms, and your body to release all tension. Recently, a paper published in the American Journal of Dance Therapy linked tango training, meditation and exercise with reductions in stress and improvements in insomnia. Dancing really does lift your spirits, according to a study in that tested the effects of dancing on people with depression. Keeps you in the moment. Feeling a lil’ depressed? Grab a friend and go dancing. For someone with mild to moderate heart failure, dancing lessons may be the perfect gift this season. In a study, people with heart failure who took up waltzing breathed better, exercised longer, and generally felt better. Dancing boosted heart health just as much as exercise, says researcher Romualdo Belardinelli, MD, a professor of cardiology at Università Politecnica delle Marche School of Medicine and director of cardiac rehabilitation and prevention at Lancisi Heart Institute in Ancona, Italy. The study was presented at the American Heart Association’s Scientific Sessions 2006. Bored with your bicycle? A study in the Journal of Physiological Anthropology found that an exercise program of aerobic dance training is just as helpful for losing weight and increasing aerobic power as cycling and jogging. In fall 2012, Roni Tarver was in a bad mood. The 5-foot-6-inch teacher weighed 235 pounds and suffered back pain almost constantly. She was popping 10 to 15 ibuprofen daily, which took a toll on her stomach. It didn’t help that she was on her feet most of the day and dealing with the stress and exhaustion of being a relatively new teacher. 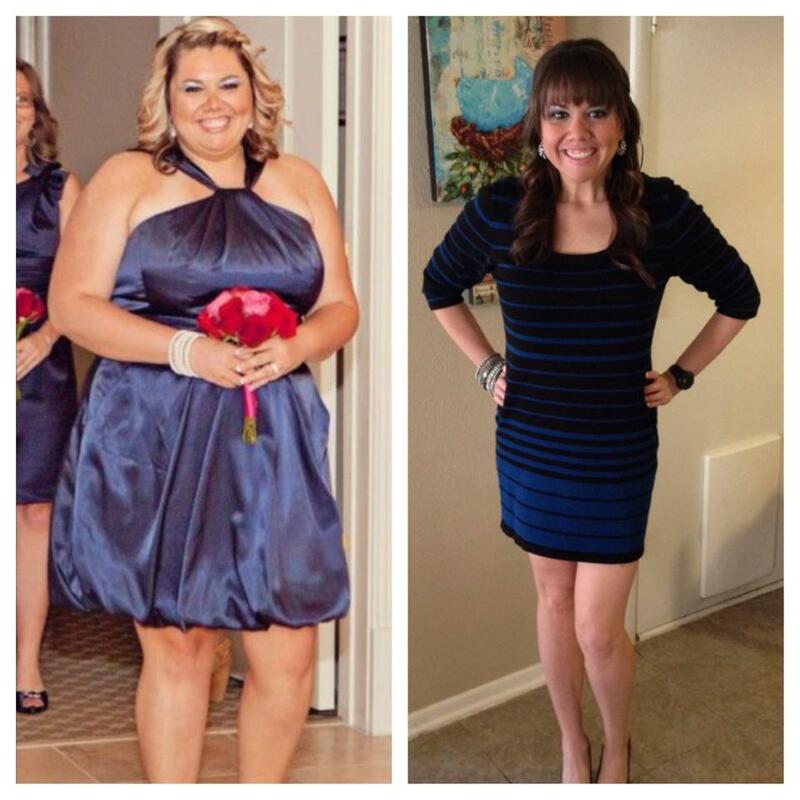 Her husband never once said anything about her weight, which made her feel worse about not taking care of herself. She had quit smoking, but knew she needed to get active because climbing stairs still left her winded. January 3rd, 2013, she signed up for her first Zumba class. It was the beginning of her new life. If you are nervous about falling as you get older, some dance lessons might help ease your worries, according to a study in the Journal of Aging and Physical Activity that showed tango dancing can improve balance in aging adults. Dancing requires a lot of fast movement and good posture, so frequent dancing will help you stabilize and gain better control of your body. Can’t seem to find your get-up-and-go? Taking a dance class might help. Research published in The Scholarly Publishing and Academic Resources Coalition found that a weekly dance program could improve physical performance and increase energy levels among adults. Dancing provides heart-healthy aerobic exercise, which increases energy by improving blood flow, in an upbeat environment that includes music and the opportunity to socialize with others. 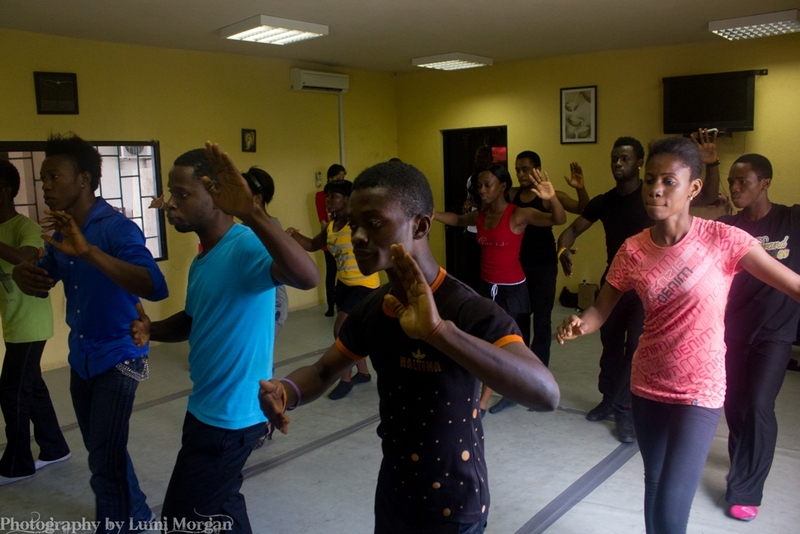 Because you have to focus to keep up with the coordinated movements and steps required in dance, dancing also provides a mentally stimulating workout. 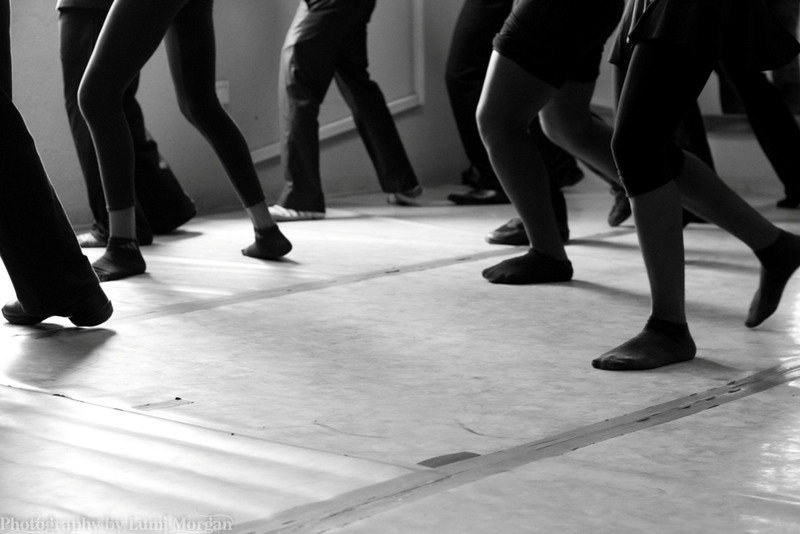 A dance class is the perfect setting to make new friends and branch out socially. Maintaining positive relationships may just rank up there with healthy eating and exercise. Being socially engaged leads to increased happiness, reduced stress, and a stronger immune system. 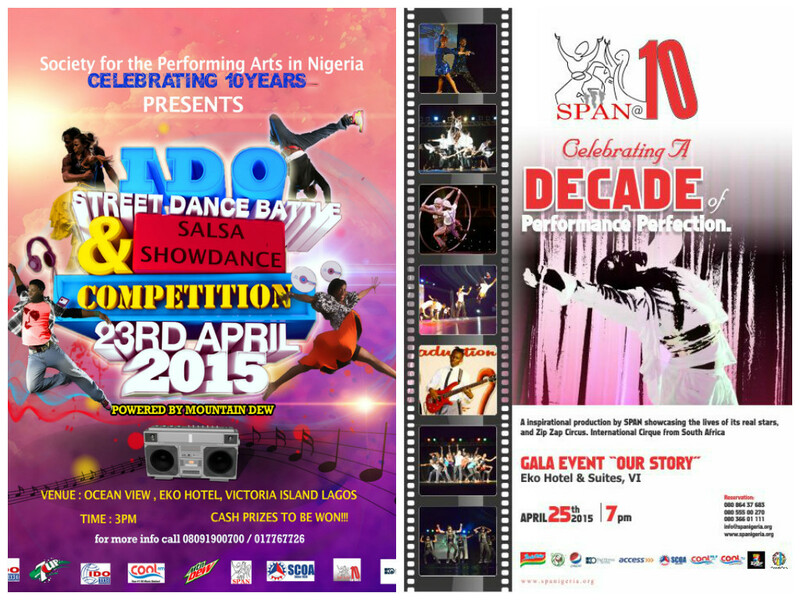 What does it feel like to celebrate 10 years of SPAN? It is very emotional. When we started, I never thought that so many people will be empowered and educated and that they would succeed like they are doing today. Sometimes you just embark on an adventure expecting something good to come out of it and so you work so hard even when you do not know what will be the outcome. And seeing the outcome of SPAN today and our achievements, especially for all the people that have benefited, I am just so happy and humbled because I can see that God has worked through me to use me for something that is so necessary and needful for Nigeria. So I am humbled and so emotional about it. You said SPAN has been doing something necessary and needful for Nigeria. How do you mean? We hear every day of people trying to achieve their purpose, trying to follow up on what they are supposed to do for themselves to better their lives and at the same time trying to find out what job opportunities are available for them out there as well as trying to make a difference, especially when they are artistes. Such people need a platform to actually explore their talents – play their musical instrument or learn their dance skill or act on a stage in order for them to develop their talents and nurture it, you need a place to do it and then you are not able to find the right place in Nigeria. Although we have universities where some of these skills are taught, SPAN has a different approach. What SPAN does is that it provides that opportunity for people who cannot afford university education. Usually what they do is that they come to SPAN where they are taught for free and then they raise money because sooner than later, they become very good dancers, musicians and actors, they save that money and then could go to the university. So we aid this transition period from the high school diploma to the university degree and some times they can’t even afford to be on a high school diploma because some cannot even finish their exams before they came in contact with us. So SPAN with its curriculum and academic work has been able to open doors for those that have been forgotten and lack opportunities. It has also been able to answer the needs for those that want to further develop in their already identified profession because what a lot of the universities in Nigeria offer is theoretical and not practical, so what we do is that we groom the students to a point where they are able to find themselves and bring out the best in their professional works so that heir brand can sell and also become part of their entity. So to explain this in my own way of thinking: I am a student of the art, I love what I do. I have a talent and I need to make money out of it. I need to finds a way of being productive. Now, how many dropouts from college are able to find jobs in the entertainment industry. Unless you push them towards somewhere, they would never be able to achieve their dreams, you need to guide them and that is what SPAN does – it is answering the needs for these young students who want to achieve something in the performing arts but cannot but when he/she comes in contact with SPAN, he is able to ignite what he has been called for and so he is able to get job, open a bank account and build a family because he has been empowered by SPAN through his studies, training programmes and leadership empowerment programmes; he is groomed to function properly where he fits in the society. And I think that is why I am still here – answering a need. Are you saying that every student that has passed through SPAN has done so free of charge? Yes, they didn’t pay a dime. Like they didn’t pay for a whole years of training at SPAN; they get a one year free training after which, every time they want to get a class, they give back through performances like when they go to perform and they get paid or they give back through community services. And then people who were trained by SPAN got hired to be teachers and earn salaries and could also pay back from what they are paid as salaries. And I could go as far as telling you that the first two generations of SPAN go transport allowance to come to the training school then. They were paid and fed to train, so a lot of them, once I started taking away some of these privileges, of course, they felt that there was something missing. That is where the power of service comes in. So you give back by helping your fellow brothers and sisters. Whatever you do has to benefit others and if it does not benefit others, why are you doing it in the first place? That is why SPAN is running today. The act of service is very important to us. Once they finish the free training programme, we tell then straightaway that we need to guide them. So now what they do is that the people that come back to SPAN to further their training are making money even while they are still on training with SPAN. They are hired everywhere because we have given them a platform that is sellable and we do not ask anything in return. The only thing that we ask them to do is to serve their fellow man. Right now a lot of them have opened their dance and music companies as well as production houses. Interestingly, I met most of them recently and they all said that SPAN has helped them take the step further to a world that is yet to be discovered. And they were able to fit in the society and excel in what they do. So SPAN pushes. We take them as refugees even though some have been graduates of universities, they end up in SPAN because they have not been able to achieve what they wanted in life or find themselves. These are young people that are artistes at core and need to find themselves, so what happen is that in SPAN, after the free training, all we ask from them is to service humanity by teaching in the schools in their neighbourhood, teach community classes and perform for us if we need to perform but after that there is no holding back unless they are teachers in SPAN officially hired an are paid salaries. So the whole process of training is a free will. They may decide after that one-year if they want to service humanity or just walk away but we audition those who can stay on with us after the one-year free training because if they were not grounded enough, they didn’t need to stay any longer with us. So they have to be ready to be auditioned to stay in SPAN, that is very important. So out of the amount of people that we have trained in SPAN, only a few stay back to serve in the society a lot of others just went away. So how does SPAN generate income to sustain itself? SPAN generates incomes not from the performances but from schools by teaching. So for the music department we have Chellarams Plc, an Indian group that is into performances, the group also own the Chellarams Foundation and Art House Foundation, which is in support of Fine Art and they also have a trust fund for education and so they have spread their tentacles to leadership, business, Fine Arts and performing arts. And especially, the young son of the Chellarams groups is a musician himself and so he is very interested in supporting and growing the Jazz Contemporary School of SPAN and that is how we pay the salaries of our teachers to train people for free. Now how do we pay our staff? That is a very interesting aspect. We teach in over 20 private schools and the money generated us used in paying our staff and also the money generated goes back to SPAN so that we can pay the salary for the admin staff and the teachers. We have support fund for all the events that we do. The support fund system is to present the events and there is one particular company that has been of huge support to us, which is the SCOA Nigeria plc. SCOA has provided us a building in Lagos Island and it is also providing us the diesel that we use in running the classes. So we do have a support system that helps sustain us over time. But what pay our staff with is 100 percent from the dance, acting and music class that we teach in private schools. So we go everywhere around town and collaborate with studios and schools that we can generate income from. We have organisations that have been there for us and they have not stopped being there. These include Indomie, Seven Up Bottling Company and ITB Construction. These companies on a yearly basic give us what they can afford so that we use their money to present the events of SPAN and also to educate the community. The money that sustains our school is from either SCOA Nigeria Plc. of Chellarams for the music department, dance class and the art classes that we teach. That is how we have been able to survive. Without events, we cannot have any credibility. So the events sponsored by the Indomie company, the Seven Up Bottling Company and ITB Construction Company gives leverage for us to expand and that is why this year Access Bank just came in to support us with a small fund for our gala night. So we are building a relationship with them. So it is about building relationships and seeing the importance of developing the entertainment industry. So everything we do, is serving a purpose to make sure that our community centre is run and is giving back by providing education to the people who are in need. Are your events only held in Nigeria? We have done tours with the Spirit Of David in the past, where we took them for five days outside Nigeria and I have a very strong leading next year to take a group of SPAN artistes on a tour across West Africa with the story of SPAN and it would be sponsored by Groupe Fadoul Afrique, my father’s company which owns SCOA Nigeria Limited and has branches across West Africa. You have turned out a whole lot of young people from SPAN so far. How do they cope with competition out there? It is very interesting to know that because our students are properly trained and highly skilled, they actually stand out where ever they go. So if they go for auditions for jobs, they get picked and I have many credible names I can give. When you watch a dance and see something unique, you know that such a dancer or a group of dances were trained at SPAN. 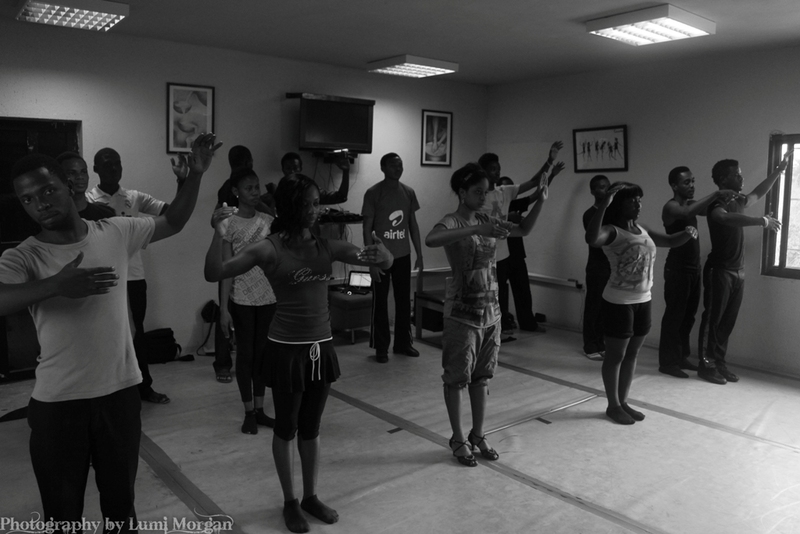 So we have been able to train a lot of dancers who have also formed their own dancing organizations now. 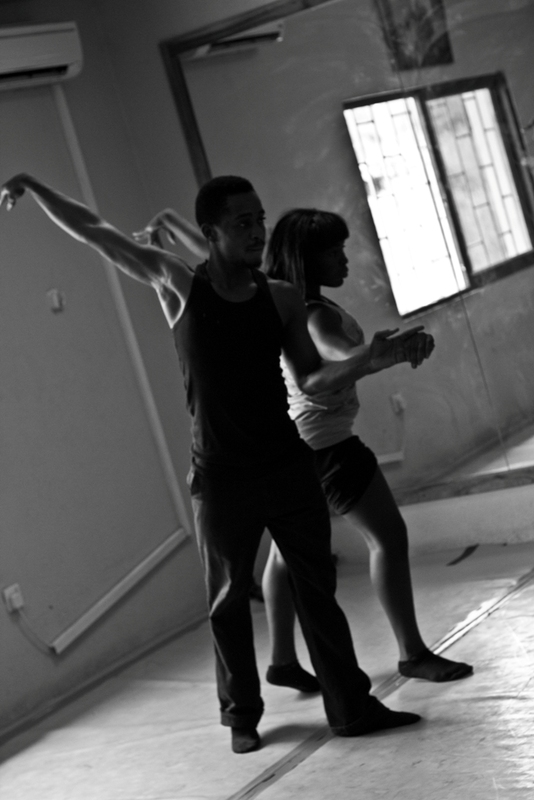 Dancers trained at SPAN are usually picked at any audition they attend and most often they win any competition they enter because they have been able to understand what it is to go on stage. And we are planning to work on a system that will make SPAN a proper university but it will take some time and efforts. You seem to have so much at hand at the moment. How do you cope? It is the grace of God. Really I am a walkie-talkie battery, an energizer kind of battery. I think I cope because I have a compartment in my brain that guides me to go through the process. When I delivered my baby, I breastfed for nine months without a nanny around and I was still running SPAN I was taking my baby to every classes. I believe that when you are driven by passion, you are able to organise things no matter how hard. I am very forgetful. A Personal Assistant (PA) would be helpful but it has to be one who really loves me to be able to follow me everywhere. I have not seen yet a PA that would be able to work at my pace. I work 24 hours a day. My husband will tell me that I work more than he does because I do so many things that are different at the same time. In fact, I would say that my driver, Solomon, is my PA for now. It is very interesting because he has become part of my world because he drives me everywhere. A typical day in my life, it like yesterday, for example: I wake up at 6:30am, dressed up and call my driver and he puts my breakfast in the car. I do my devotion in the car and then we went all the way from Ikoyi to Festac to meet with a lady that runs an outreach programme for premature babies that I want to support with a concert where she can raise money to take care of the babies. 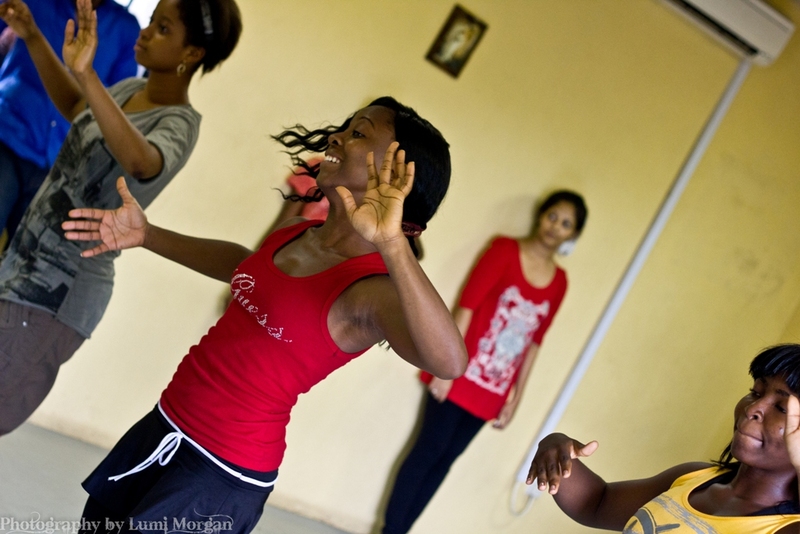 And then I went for my private dance classes in Victoria Island, then went for a four hours dance classes at deferent schools and studio in Victoria Island where I teach ballet dance classes and in between that I met with the architect for the new La Pointe Delicatessen Store that we are opening. I finished at 7:00pm and went home to spend time with my little son and also make plans for an older son who was graduating and also my daughter who was doing her final exams after which I collapsed in the bed and woke the next morning and then start over again. I live a crazy day. It is not only that I oversee La Pointe Delicatessen Store, but also I am also a ballet teacher and the chairperson of SPAN and a happy mother of three. I am 44 years old right now. How does your husband take this? He looks at me and says, ‘she will never stop”, but I manage to watch a particular TV series with my husband most often. My biggest fan is my husband, Dr. Massad Fares Boulos. He has supported me all the way with finance. We have been married for 27 years and he has supported me from the beginning of SPAN, for better or for worst. He is a definition of what a spouse has to be for such a lady like me. Ballroom dancing is quite an amazing feat; it enables two perfect strangers to move around a crowded dance floor, in very close proximity, in perfect time with the music, and execute intricate patterns, without bumping into other dancers or into each other and they accomplish all this while looking comfortable and graceful. 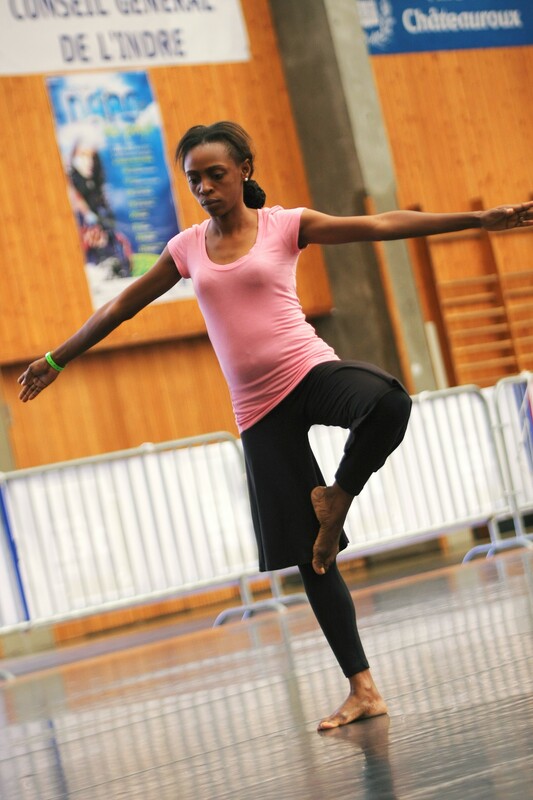 Dance students are often frustrated and find learning difficult. It is, and it should be. Don’t be embarrassed or annoyed if you make an error. Laugh it off and try again. After all, it’s supposed to be fun. The three most important rules in learning to dance are: PRACTICE, PRACTICE and PRACTICE. 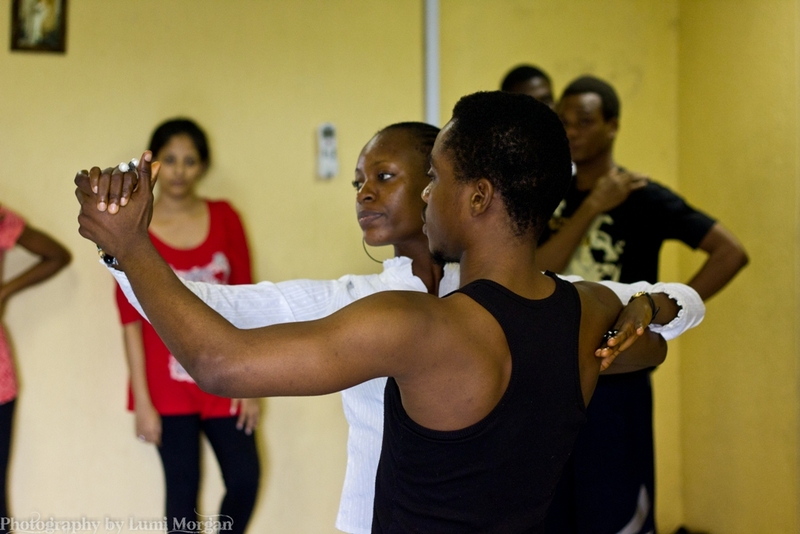 To start your learning experience, join some dance classes. SPAN is obviously the first and best choice you should make. www.spanigeria.org here,you get to meet other aspiring dancers and top notch instructors. Stay erect, don’t slouch, arch your back. Keep your head up at all times and DON’T look at your feet. Relax, try smiling, even if you’re concentrating. Remember, your partner can help you, either with good leading or good following. However, your partner can’t do anything to make you look good if your bearing is wrong. Turns and spins are fun to do, however, they do require some specific skills. 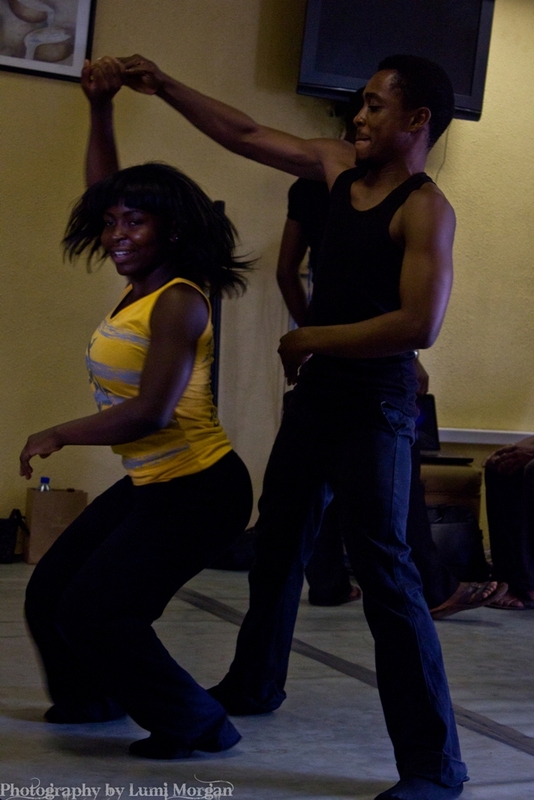 In smooth dances, whenever possible, maintain a light pelvic contact with your partner. An arched back helps to achieve this while maintaining a comfortable distance between upper bodies. Try it in closed position, angled position and promenade position. If you want to feel the difference between dancing, and dancing together, this will be an eye opener. Men, when doing a parallel step, or a promenade, try keeping your shoulders facing your partner rather than facing the direction of your feet. It’s a bit like downhill skiing, where the feet point across the slope while the upper body faces straight down the slope. Many ladies pull away from their partner without being aware of it. Others feel they may give the wrong impression by being close to their partner. Once you try it, however, you will be elated by the feeling of really moving in unison. Don’t confuse this with the international or standard style of dancing which requires that body contact be maintained at all times and where underarm turns, parallel or side-by-side positions are prohibited. Leading has to be done in the spirit of wanting to help your partner do the pattern you wish to execute. You don’t push or shove her around. Be gentle at all times. See what works best. Concentrate on your partner. Make an effort to become a good leader. The most important part of leading is probably body language. If your partner is attuned to you, if she listens to your body language, she can detect very slight changes in motion and direction and can react in ample time. You can consciously emphasize your body language when needed, such as when you lift your shoulder before you prepare to sway. Leading is not something you turn on and off. When you drive a car on a straight road, you still keep your hands on the steering wheel and make small corrections when required. The same applies to the control the leader has to assume when dancing. It is always present but only used when needed. A strong lead does not mean applying a lot of force. It is a matter of firm, continuous and steady control. There are many ways to signal your partner what to do next. It all depends on the dance variation you’re trying to execute. The following are just a few examples. Your right hand gently turns your partner into a promenade position. Turning your head and body toward your left gives further emphasis to the move (see the second picture above). To execute a chasse, push a little harder as if to say “we have to hustle a bit here”, and at the same time pretend to lift your partner unto her toes (gently does it). 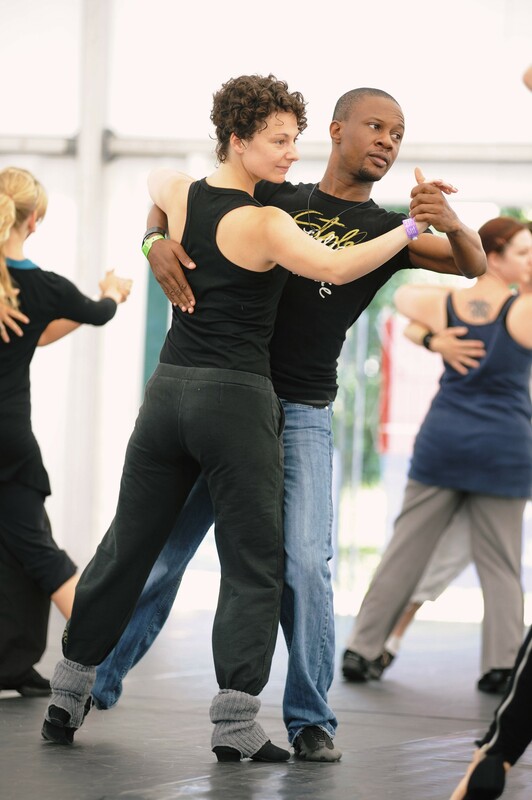 A right hand pull also guides your partner forward into an angled position on your right or left side (such as a tango fan). This gentle pull, combined with a slight rotation of your shoulders should be enough to indicate your intention. A firm and slightly downward pull will accomplish a tango corte, particularly if combined with a slight bending of the left knee. If you want your partner to angle backward, use a slight shoulder movement. Push forward firmly with you right shoulder to make her angle backward to your left, and vice versa. Waltz twinkles are a good example of this technique. Start thinking about which foot your partner’s weight is on. Trying to lead her into a move when her weight is on the wrong foot will result in some awkward stumbling. If you’re a student, ask your teacher about these maneuvers, he can show you some very effective moves. If you’re hopelessly out-of-step with your partner, or off the beat, stop and start again. It’s much better than to stumble along. In close position, always look over you partners right shoulder. Your right pelvic bone should be inside your partner’s right pelvic bone. This lines up your shoulders parallel to your partner’s, the best position for moving backward and forward. Many ladies have a tendency to keep their right shoulder farther away than their left shoulder. Similarly, men have a tendency to push their partner away with their left hand or pull them too close with their right, with a similar effect. This makes it much harder to move and to lead . Keep your left arm firm, don’t let it flex. This provides you with a tactile feedback of your partner’s movements. Whether he moves forward or backward, you’ll always keep the same distance from him (see body movement above). Your right arm should not pull, push or otherwise exert force on you partner’s left hand. Except in certain circumstances, your left arm is used as a decoration. It is not functional. After a promenade movement, quickly return to a close position and look over his shoulder again. This lines you up again for the next move. Stay close to your partner and maintain body contact. You’ll feel the direction of his body movements and will be able to react more easily. Relax, don’t be pro-active, don’t try to anticipate the next lead. Don’t be too brittle or strident in your movements, become more languid, letting the man guide you along (don’t fall asleep, though). Try occasionally closing your eyes and concentrate mentally on your partners body movement and his hand, shoulder and head leads. The only exception is when your partner is about to collide with another couple while moving backward. Warn him with a tap on the shoulder, or even pull him to a halt. He’ll thank you. When you dance, your body should be in continuous motion. To get a smooth start, imagine the following. You are balancing a long pole upright in your right hand. To move the pole away from you, you have to first let the top tilt away from you. Then, as the pole starts to tilt, your hand has to quickly move in the same direction so the pole is balanced again. Now try the same idea with your body. Your legs and spine represent the pole. Start tilting forward or backward, then quickly move the bottom of the pole, your feet, under your shoulders to restore your balance. The technique applies to both partners, but the most pronounced benefit is the fact that in this manner, the man telegraphs his intention to the lady who can feel his body movement with her left hand resting on his right upper arm a split second before his feet start moving. If you have a steady partner, try moving in different directions with both of your hands at your sides, and with the lady’s only contact with you being her left hand on your right upper arm. On cross-body leads (walking around your partner), stay close and finish the step in close position. Many ladies end up a foot or more away from their partner, throwing him off balance..
Ladies, don’t roll your hips in all dances. 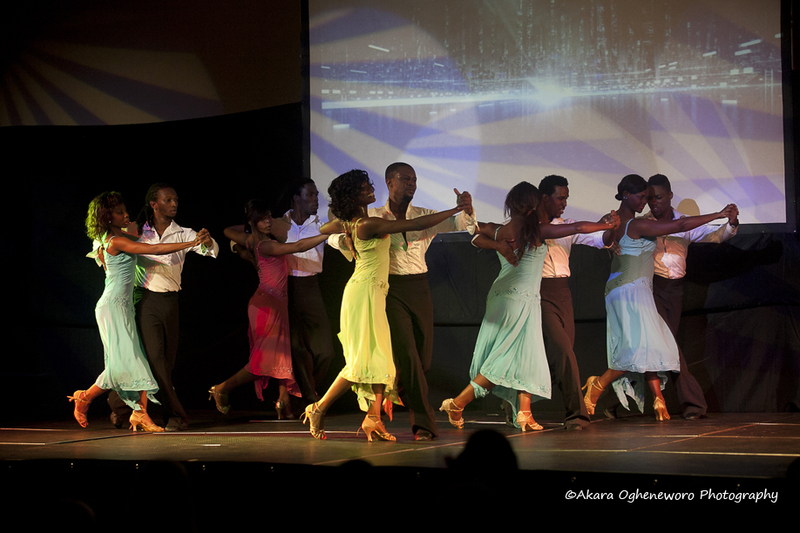 The Cuban or Latin hip movement is reserved for Latin dances such as the Rumba, Mambo, Cha-Cha, Bolero, Samba and Merengue. The exception is East Coast Swing, West Coast Swing and Shag where top-level competitors all use a pronounced hip movement. Many dancers move with their feet apart. This makes them look awkward. Try the following. Imagine walking on a plank of wood, just wide enough to accommodate your feet, side by side. Now move forward and backward without stepping off the plank. You’ll notice that when one foot passes the other, it brushes against it. Get used to brushing your feet against each other moving forward and backward, then apply the same technique to moving in different directions. Whenever one foot takes a step, it touches or brushes against the other before you put your weight on it. Note that, except where a variation demands it, one foot never crosses in front or back of the other. Each foot always stays in its own track. Ladies, I know moving backward most of the time is difficult. However, try pointing your toe out when stretching the leading leg backward (and I mean stretching). Arching your back helps. When you spin, either on two beats or on a triple step, stay on one spot by keeping your feet together (unless the step requires you to travel, in which case you stay on the plank). This way you wont wobble, loose your beat, or end up too far away from your partner, forcing him to chase and catch you , or rushing to close the gap. When you kick, point your toe out and down. Pointing your toe up or inward looks very ungainly and is only suitable for some western moves (where it looks cute). 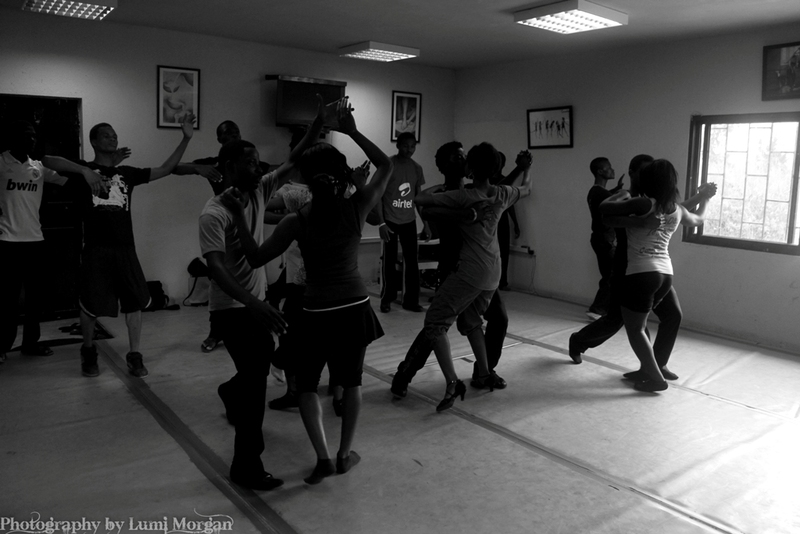 DISCLAIMER: Pictures are from a SPAN class, not every one dancing is a professional except the instructor of course. When a web search of organizations that support youth, dozens of websites will lead you to resources for enterprise, entrepreneurship and even football. But what of the youth whose experience in sports leads them to feelings of failure? Or those that can never create anything with their hands to save their lives? Do the same web search of organizations in the performing arts and find…. very, very little. A vibrant Theatre Arts presence in a community brings other benefits as well. It can bring in tourism – and a steady cash flow to business owners. 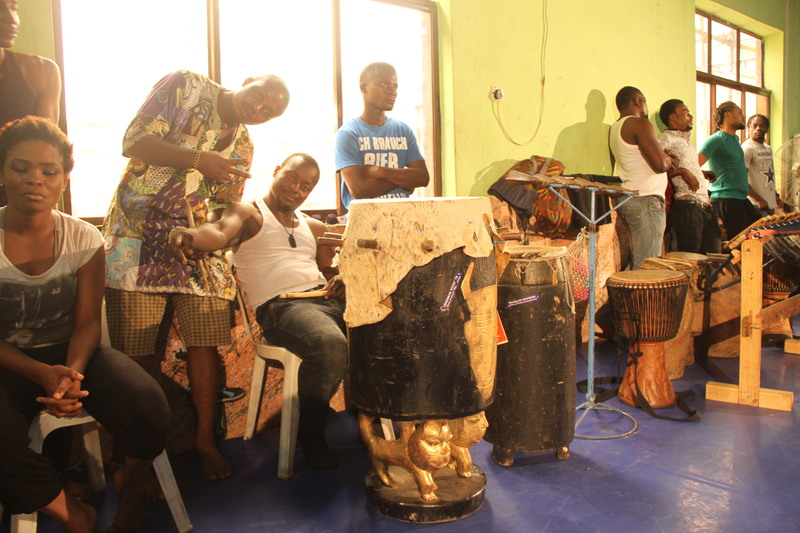 The Society for The Performing Arts in Nigeria (SPAN), a performing arts institution that combines Nigerian cultural traditions with world-class training, creating a platform to nurture and release creative potential in art, dance and music has been in existence for 10 years. 10 years that have not been without their challenges, their highs and their memorable moments. 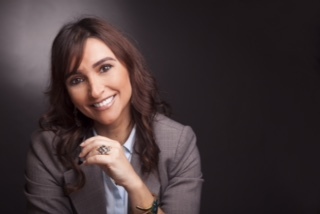 Sarah Boulos in her capacity as Founder and Chairman of The Society for the Performing Arts in Nigeria has trained and or contributed to over five hundred individuals in the professional field. SPAN has showcased and partnered with over 100 NGO’s and Mission work as well as provided on a yearly basis over thirty jobs in the entertainment industry. Because it was needed and I was ready to serve and today the industry is soaring with professional performing artists hired and owning private businesses. SPAN, BORN OUT of a GOD GIVEN VISION IS PURPOSE DRIVEN AND PURPOSE DRIVEN MISSION are ignited because of a need and the need is to educate and present performing artists to provide them with job opportunities and present their art and for children to develop themselves in an area of education that is missing in Nigeria. Was it difficult being accepted by Nigerians? It was as first when we started but as much now because the Nigerian community can now see the benefits of the performing arts and what it brings to the community, like new job opportunities , a better and healthier lifestyle, a creative energy in the economy, a positive outlook on our city and A reduction in the poverty line. To build awareness and educate the audience that this project is very much-needed in our society and industry. At the beginning, banks did not take me seriously and now they are hiring and sponsoring my student programs. Fundraising was also a major challenge and now it’s a lot easier, people are considering sponsoring the arts!! What is different now…from 10 yrs ago? Because the industry has opened partly due to our work, there is more hope to see a performing art center built and a place for young people to learn and develop themselves and pursue their career in the performing arts because of our success stories in the Industry. THE STIGMA, THOUGH STILL PRESENT IS NOT AS STRONG! Do you regret any of the decisions you made then? No, only when I get tired and desire to quit then a young child gives me a flower or I receive an encouraging word from one of my students then I know how precious and needed my services are. What would you do things differently if you had the chance? What does SPAN @ 10 mean to you in a nutshell? A place where our citizens are educated , entertained and inspired for more through the performing arts . What do you expect the show to accomplish? The show will reinforce our vision and the need to develop more educational programs and to build a place to accommodate students and citizens to explore the wonders of the performing arts. If You are Serious about Music, FRANCE Calls for you this Summer!!! Are you interested in quality music education and international certification? We’ve got great news for you! 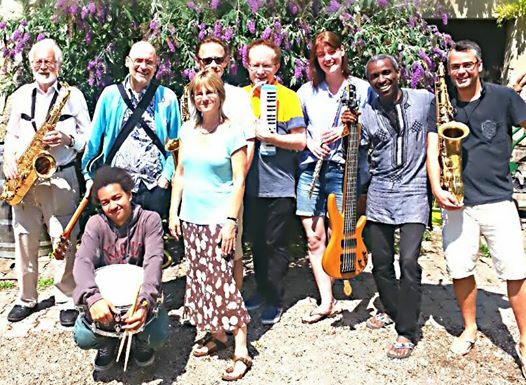 SPAN Jazz Summer School in collaboration with The Dordogne Jazz Summer School** – Our affiliate Jazz school in France – is offering 10 students an opportunity to study with the The Dordogne Jazz Summer School for the 2015 academic year. Enrolment is on-going; Interested candidates please visit us next week on Tuesday, September 23, 2014 or Friday, September 26, 2014 and ask to see Bright Gain, Director, SPAN Academy of Jazz and Contemporary Music. Time: 12noon at SPAN Office, No 1 Abuja street, off 1st Avenue, Banana Island, Ikoyi, Lagos. Please note that the summer school will run for one month – Two weeks in Lagos and two weeks in France – and fees cover Tuition, accommodation, feeding, flight ticket and visa. Visa is totally guaranteed!!! **The Dordogne Jazz Summer School is based at Chateau de Monteton, a real mediaeval castle, in south west France; and led by pianist and composer Andrea Vicari.